We have tons of white fish (halibut and tilapia) in our freezer. Although this fish tastes great without much seasoning, sometimes I like to add some heat to the fish. I've used this blackening seasoning a number of times in the past. A combination of a number of recipes I found on the internet, this recipe is now a staple in my cupboard, usually mixed together and sealed in a mason jar. 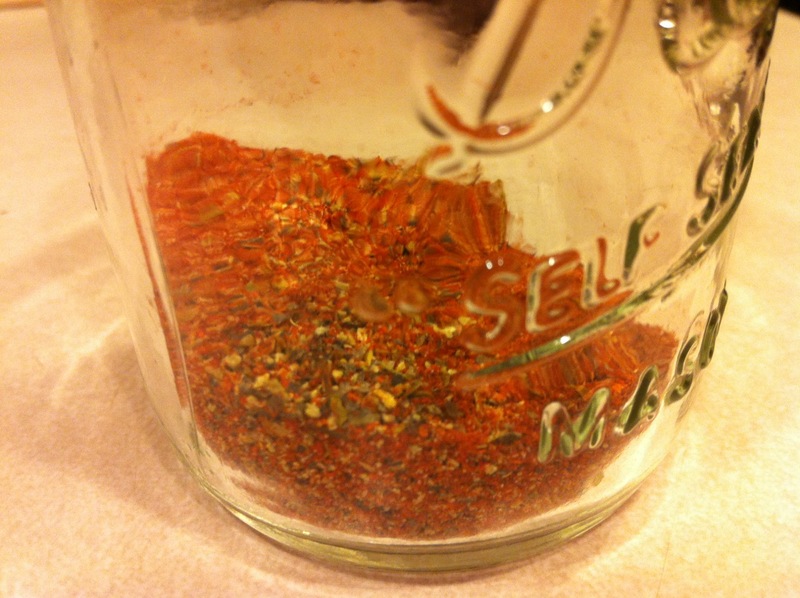 This seasoning is perfect for fish or chicken and can be easily modified. If you like a bit of salt in your seasoning, 1-2 tsp would be sufficient.